Welcome to the next edition of the ILC Relay! 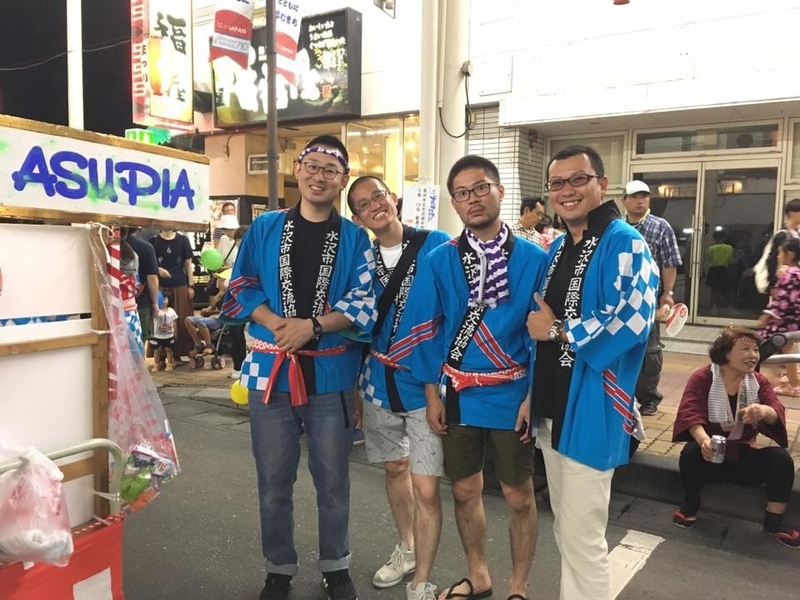 We want people around the world to know how all of Iwate is working to bring about the ILC, so the ILC Relay is all about interviewing various people in Iwate who support the ILC project. For this ILC relay, I interviewed Daigo Fujinami of Oshu International Relations Association. I’ve known Daigo-san since I started my job in Oshu in 2014. 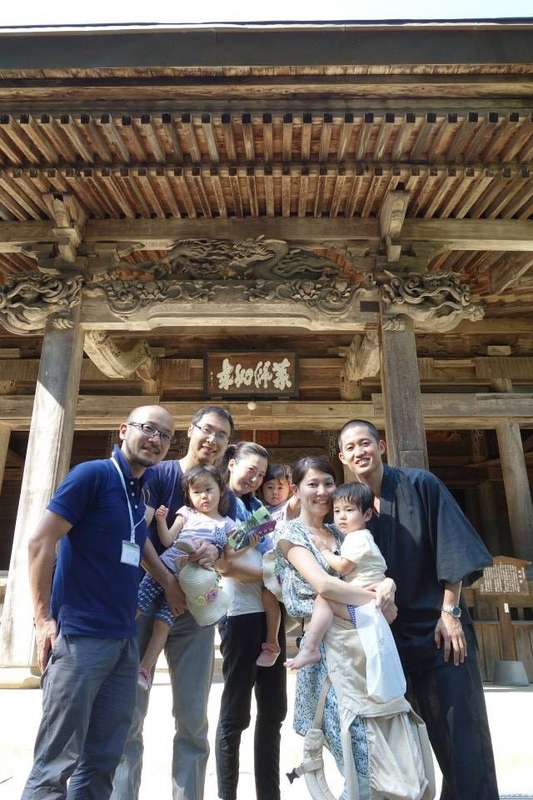 Daigo works at the local international association, OIRA (the Oshu International Relations Association) and is also a monk living and working at Kokuseki-ji Temple. He’s fluent in English, having spent years abroad in graduate school and working at a Japanese language school in the Republic of Benin, West Africa. If you see a relaxed, friendly man with glasses and a shaved head, especially at an international event, you are probably looking at Daigo-san and you should go say hi. I went to the Aspia building, where Daigo works, to learn more about him. You work at the Oshu International Relations Association. How does OIRA support international residents? First, there’s our medical interpreter system. We started a system dispatching trained volunteer medical interpreters in 2015. Volunteers participate in ongoing training sessions and have to pass a test showing they have the necessary skills. We have agreements with three local hospitals and 33 registered interpreters in four languages: English, Chinese, Korean and Tagalog. This system was used 16 separate times in 2017. We also provide Japanese language education for all kinds of levels. This includes Japanese language study geared toward a particular goal, like passing a test, getting a driver’s license, or using Japanese in the workplace. 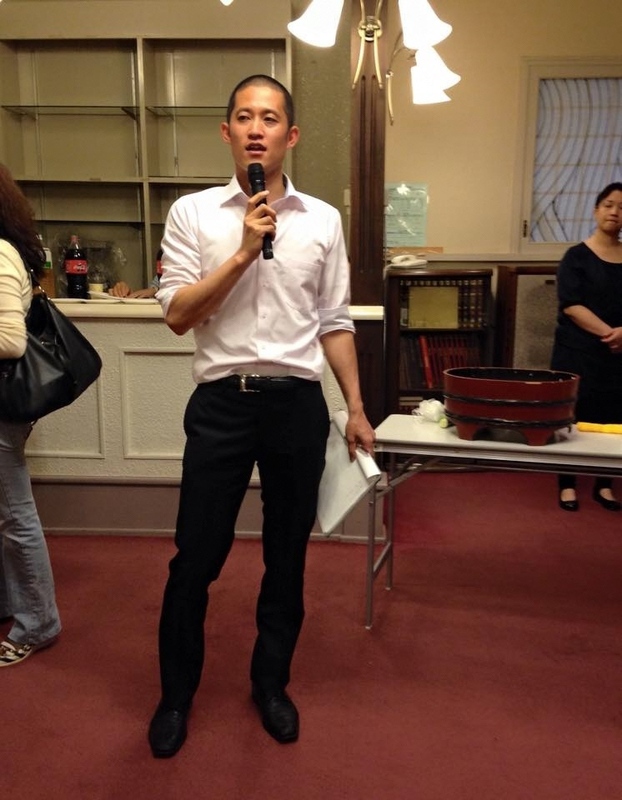 We help foreign residents who want jobs by introducing them to employment services like Hello Work and the Job Cafe. If they need help communicating, we interpret for them. We also arrange workplace observation tours for people who want to know more about a particular job. How did you hear about the ILC? I did start learning more about it when the ILC Support Committee started. The ILC Support Committee started up in 2013. We held an English lecture about the ILC at the Oshu Space and Astronomy Museum, and because it was in English there was more attendance by international residents. The international residents who attended the lecture asked Oshu International Relations Association if we could set up a group together: the ILC Support Committee, which is a group of international residents working to promote the ILC and advise government and other groups on how to prepare for ILC researchers. What do you think about the ILC? I don’t have any specific hopes for scientific discoveries or local economic growth, or on the other hand anything particular I’m worried about. I think we won’t know what will happen until it happens. More people from overseas will live in this area because of the ILC, though, so I think it’s great in the sense that this will simply give locals more chances to meet foreign people. Making friends from other countries is a good thing for people as individuals, and it’s good for world peace. If someone from a certain country is really nice to you, at the very least you’d prefer not to attack that country. Maybe if enough people make friends with each other on an individual level, that can expand to good relations on a country level. Do you have any messages for Japanese locals, or to ILC researchers? Well, I want to say: “Don’t worry if you’ll get along, they’re nice people” That’s a message both for Japanese people and for international researchers. Japanese people tend to worry about talking to foreign people. “What if I can’t speak English?” or “What if we don’t understand each other?” But international researchers are nice people, and they’ll try to understand what you’re saying. The same goes for international researchers. Japanese people can be shy, so try saying something to them in Japanese. “Konnichi wa.” Anything is great. They’re nice people, so don’t worry. They’ll do their best to understand you. Any PR messages as a monk at Kokuseki-ji Temple? Yes! If you’re interested in really deep religious festivals, and don’t mind the cold, please come to our Somin-sai Festival held in February every year. There was an “Oshu for You” video about the festival, and you can see details about the Somin-sai festival at Kokuseki-ji Temple’s official English website.